This is my second official birthday post since I’ve started blogging. That’s right. HAPPY BIRTHDAY TO ME!!!! Listen, I get this one day this one day a year and I’m not shy about it. I am a fan of my birthday. I am lucky in that I have friends who allow me to think it’s all about me on my big day, who reach out from Paris and Canberra and London and the Upper West Side. In my child-free years, I’d throw parties for myself. One year, I organized a party at a decadent Soho club called Spy Bar with four other Pisceans: a publicist, a designer, a rock star and a Squirt. Another year, I got gifted a dress from a designer and threw a soiree with a birthday twin. I’d often steal away for the day with a best friend or a person I was involved romantically with. When I became a mother, I discovered how much fun I had putting a birthday party together, hers. When my daughter turned one, I gathered my newly minted parent-friends and my still child-free friends at a playground in the shadow of the Word Trade Center, just days before everything changed. Kenny Shopsin, of the legendary Shopsin’s restaurant, brought treats; that was a time. Later, when she was in school, I’d throw her party in June, before summer broke, so she could have the kids she spent the school year with in attendance, as she is an August baby. I rented out a pizza parlor and had a clown perform; it was Harry Potter inspired. There was a birthday party at Build-A-Bear. I took a gaggle of seven year-old girls to the American Girl doll store and we had birthday brunch at the cafe. One birthday, I took her friends on a walking tour of the Upper West Side which included a visit to a police precinct. I tried to be imaginative with the parties, making each and every gift bag personally, filled with games and candy, sugar always a convenient go-to. 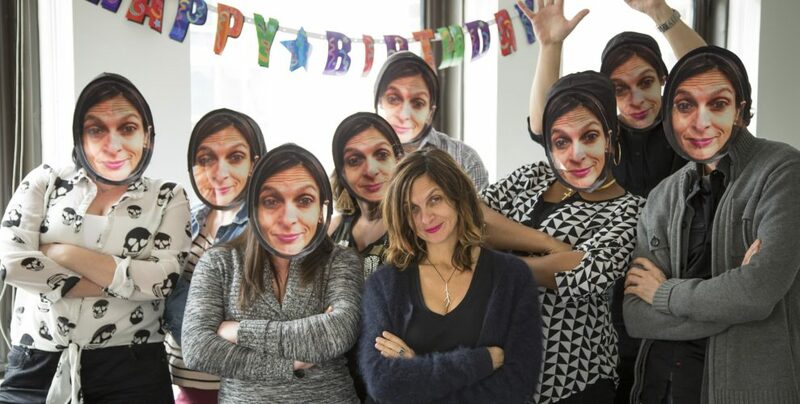 In addition to the birthday parties I threw for the children, I also hosted an adult-friends dinner at Lombardis, the brick oven pizza joint in NoLita; I’d commandeer the upstairs space, a veritable private room, and my ride-or-die’s would gather, celebrating her birthday. My friends have played a huge role in raising my daughter, and I liked having us all under a roof. As my friends partnered, they’d bring their babies too. As they left the city, they continued to call on her birthday, always so thoughtful, my friends. Once my daughter had her bat-mitzvah, I stopped throwing birthday parties for her. We went to London and Paris for her 13th. And her high school birthdays usually included a sleepover of her friends and dinner out, minus my presence. I miss the attention I paid to her milestones; I had so much fun with them. Now with her in college, her birthday falling while she is at school, I hope her friends give her the love on her special day my friends do with me. Tonight, I will be with the ones I count on, who hold my hand when I fall, who wipe my tears when I cry, who jump for joy with me when we’re high. So here’s to 55, here’s to celebrating, here’s to life itself. Happy birthday to me! A starter kit to saying goodbye to your pet. I know, I can’t handle thinking about it either. And have a laugh with Gina Yashere.